You are here: Home / Search for "required minimum distributions"
If you turned 70 ½ during 2018, you must take your first required minimum distribution from your IRA and other retirement accounts by April 1, 2019. The first wave of Baby Boomers hitting age 70 ½ began in 2017. This is the age when required minimum distributions must be taken. RMDs need to be taken from IRAs, 401(k)s and other retirement accounts. Here are 7 things you need to know about required minimum distributions. The rules were changed a number of years ago to require custodians such as Schwab and Fidelity to report the amount of your annual required minimum distribution to the government. In the past this had not been the case. This was part of an effort to enforce the taking of these distributions and the payment of the taxes associated with them. The penalty for not taking an RMD is steep, 50% of the amount not taken in addition to paying the taxes due. As an example, if your RMD is $20,000 and you don’t take it you would owe a penalty of $10,000 on top of the taxes associated with the $20,000 distribution from your retirement account. If you have multiple retirement accounts you will likely receive a separate RMD amount for each account. Note that the total of your required minimum distributions is what counts, you can generally take the entire amount of the distribution all from one account or from some or all of your various accounts as long as the total amount taken is correct. There are exceptions to this, so be sure to check with your custodian or a qualified tax or financial advisor to ensure you take the correct amounts for all accounts as require.. Your first required minimum distribution will be for the year in which you turn 70 ½. For example, if you turned 70 on January 1, 2019 you will be 70 ½ on July 1, 2019 and you would have a required distribution for the current calendar year, 2019. If your birthday is September 1, 2019, your first distribution is not required until 2020 since that’s when you turn 70 ½. For your initial RMD only, you are not required to take the distribution until April 1 of the calendar year following the year in which you turn 70 ½. For the someone turning 70 on January 1, 2019 that would be April 1, 2020, for someone reaching age 70 on September 1, 2019 their initial RMD could be deferred until April 1, 2021. However, all subsequent RMDs must be taken by December 31 of the appropriate year. Delaying the initial distribution until April 1 of the following calendar year would mean that you would be taking two distributions and paying taxes on both for the same calendar year. Often for this reason I suggest taking the first distribution in the year that it applies to, for example by December 31, 2019 in the January 1, 2019 birthday example. This chart might make this a bit easier to follow. How on earth is this calculated? Your required minimum distribution for a given year is calculated based upon your age and the total of your retirement account(s) at December 31 of the prior year. The calculation is based upon the tables in IRS Publication 590. For example if you are 75, married with a spouse who is not more than 10 years younger than you, and your IRA account balance was $500,000 at the end of 2018, your RMD for 2019 would be approximately $21,834 using the table. I generally rely on calculations by the custodian for a number of reasons, but it is always a good idea to double check. There are a number of online RMD calculators including this one. If you are 70 ½ or older and still working, there is a specific exception to the RMD rule. This pertains only to the 401(k) or similar retirement plan of your current employer. Additionally, it only applies if you are less than a 5% owner of the company. If both conditions are satisfied you do not have to take an RMD on that plan. Any other IRAs, an old 401(k), or similar accounts will still have a required minimum distribution. Your company must elect to offer this exception, so it is best to check with your retirement plan administrator if you are in this situation. Inherited IRAs are a specific type of account that usually comes into play with a non-spousal beneficiary. As an example, a parent who is a widow or widower might leave their IRA account to their adult children. Let’s say the mother is a widow with a $100,000 IRA and she names each of her two adult children as beneficiaries. Upon her death each child would have some options including setting up an inherited IRA account which has some specific rules. If the mother had already started taking required minimum distributions from her IRA, then the children would need to continue taking RMDs from their inherited IRA accounts. However, their distributions would be based upon their life expectancy tables resulting in smaller distributions then would have been required by their mother. This allows the kids is to preserve and grow the inherited IRA account. One of the major benefits of a Roth IRA account is that the owner is not required to take required minimum distributions. This might be a factor among many in deciding whether a Roth IRA is the right way to go. Note inherited Roth IRAs have different rules for non-spousal beneficiaries. If this is your situation you should contact a financial advisor who understands this issue. Certainly, this list is not an exhaustive list. Required minimum distributions play an important part in both your retirement planning and potentially your estate planning. If you have questions, make sure you contact a tax or financial advisor who understands this complex area. In or approaching retirement and want another opinion on where you stand? Not sure if your investments are right for your situation? Need help getting on track? Check out my Financial Review/Second Opinion for Individuals service for detailed guidance and advice about your situation. Thanksgiving is behind us and we are in the home stretch of 2013. While your thoughts might be on shopping and getting ready for the holidays, there are a number of financial planning tasks that still need your attention. Here are 7 financial planning tips for the end of the year. This only works with investments held in a taxable account. This is not a good strategy for investments in which you have an unrealized loss. Here it is better to sell the investment, realize the loss and donate the cash. The thought here is to review investments held in taxable accounts and sell all or some of them with unrealized losses. These may be a bit harder to come by this year given the appreciation in the stock market. Bond funds and other fixed income investments might be your best bet here. The benefit of this strategy is that realized losses can be offset against capital gains to mitigate the tax due. There are a number of nuances to be aware of here, including the Wash Sale Rules, so be sure you’ve done your research and/or consulted with your tax or financial advisor before proceeding. If you are self-employed and haven’t done so already consider opening a Solo 401(k) account. The Solo 401(k) can be an excellent retirement planning vehicle for the self-employed. If you want to contribute for 2013 the account must be opened by December 31. You then have until the date that you file your tax return, including extensions, to make your 2013 contributions. With the tremendous gains in the stock market so far this year, your portfolio might be overly allocated to equities if you haven’t rebalanced lately. The problem with letting your equity allocation just run with the market is that you may be taking more risk than you had intended or more than is appropriate for your situation. Rebalance with a total portfolio view. Use tax-deferred accounts such as IRAs and 401(k)s to your best advantage. Donating appreciated investments to charity can help. You can also use new money to shore up under allocated portions of your portfolio to reduce the need to sell winners. This is the time of the year when many companies update their 401(k) investment menus both by adding new investment options and replacing some funds with new choices. This often coincides with the open enrollment process for employee benefits and is a good time for you to review any changes and update your investment choices if appropriate. Many mutual fund companies issue distributions from the funds for dividends and capital gains around the end of the year. These distributions are based upon owning the fund on the date the distribution is declared. If you are not careful you could be the recipient of a distribution even though you’ve only owned the fund for a short time. You would be fully liable for any taxes due on this distribution. This of course only pertains to mutual fund investments made in taxable accounts. If you are 70 ½ or older you are required to take a minimum distribution from your IRAs and other retirement accounts. The amount required is based upon your account balance as of the end of the prior year and is based on IRS tables. Account custodians are required to calculate your RMD and report this amount to the IRS. Note beneficiaries of inherited IRAs may also be required to take an RMD if the deceased individual was taking RMDs at the time of his/her death. If you have multiple accounts with multiple custodians you need to take a total distribution based upon all of these accounts, though you can pick and choose from which accounts you’d like to take the distribution. Make sure to take your distribution by the end of the year otherwise you will be faced with a stiff penalty of 50% of the amount you did not take on top of the income taxes normally due. If you turned 70 ½ this year you can delay your first distribution to April 1 of next year, but that means that you will need to take two distributions next year with the corresponding tax liability. Also if you are still working and are not a 5% or greater owner of your company you do not need to take a distribution from your 401(k) with that employer. You do, however, need to take the distribution on all remaining retirement accounts. For those who take required minimum distributions and who are otherwise charitably inclined, you have the option of diverting some or all of your distribution via a provision called the qualified charitable distribution (QCD). The advantage is that this portion of your RMD is not treated as a taxable income and may have a favorable impact on the amount of Social Security that is subject to income taxes for 2014 and other potential benefits. Note that you can’t double dip and also take this as a deductible charitable contribution. Consult with the custodian of your IRA or retirement plan for the logistics of executing this transaction. 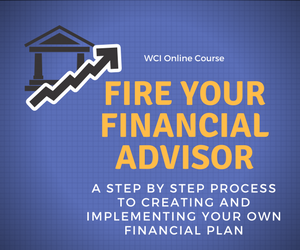 With all of the strategies mentioned above I recommend that you consult with a qualified tax or financial advisor to ensure that the strategy is right for your unique situation and if so that you execute it properly. Certainly year-end is about the holidays, family, friends, food, and football. It is also a great time to take execute some final year-end financial planning moves that can have a big payoff and in the case of RMDs save you from some hefty penalties. The Tax Cuts and Jobs Act passed in December of 2017 marks the biggest overhaul in the tax code in many years. One area that will be impacted under tax reform is charitable giving. While charitable contributions remain eligible as an itemized deduction under tax reform, the ability to actually deduct your contributions may have been impacted by some changes in in the rules. Here are some thoughts for this holiday season and throughout the year. Tax reform may impact your ability to itemize deductions including charitable contributions. SALT stands for state and local taxes. Tax reform capped the amount of these taxes that can be used as an itemized deduction at $10,000 for 2018 going forward. The two biggest SALT components for most people are their state income taxes and their property taxes. This will especially impact those people living in states with high income taxes and locations with high property values/property taxes. Many commentators say this was politically motivated since taxpayers in “blue states” seem to be disproportionately impacted, I’ll leave that to you the reader to decide. The other major change that may impact your ability to itemize deductions is the increase in the standard deduction. Starting in 2018, the standard deduction increases to $24,000 for those who are married filing jointly and $12,000 for single filers. This means that if your itemized deductions are less than these thresholds, you will be better off taking the standard deduction versus itemizing. Note that these and most provisions under tax reform expire after the 2025 tax year, so we will see what the future holds for these and other provisions beyond that. The deductibility of charitable contributions was not eliminated under tax reform, in fact it was expanded for some high-income taxpayers. The issue for many taxpayers is whether or not they can still itemize deductions with the changes to the standard deduction limits and the SALT cap discussed above. For those whose situation might not allow them to itemize, here are some ways to make your charitable giving more tax-efficient. Let’s say that you and your spouse file a joint return. In this example let’s say your mortgage interest is $10,000 for the year and your SALT taxes are capped at the $10,000 level. With other deductible expenses your itemized deductions would come to $21,500, leaving you $3,500 short of the $24,000 standard deduction threshold. One option would be to bunch expenses that would qualify as itemized deductions into 2018 (or any appropriate year) to get over the $24,000 hurdle. In the case of charitable contributions, you might consider making additional contributions in the current tax year to help your reach the threshold where you can itemize. If you normally would make contributions of $1,500 per year and can afford to do so, you might try to make 2-3 years’ worth of contributions to the organizations of your choice in the current year to get your deductions above the threshold. Using appreciated securities held in a taxable account to make charitable contributions has long been an excellent method to make charitable contributions. Stocks, mutual funds and ETFs that have appreciated in value are good gifts. Other types of appreciated assets can be used as well, such as art, collectibles and real estate. These types of assets will need to have an appraisal to determine their value as a gift, versus using the market value on the day of the gift for appreciated securities. The value of the gift can be deducted as a charitable contribution for those who can itemize deductions. There are no capital gains taxes that will be due on the contributed shares. If you were to sell the shares first and then contribute the cash, you would owe capital gains taxes on the amount of the realized gain on the sale. This strategy can also be used as part of your overall portfolio rebalancing, it can be a tax-efficient way to rebalance your holdings. Even for those who cannot itemize under the new rules, the benefit of not having to pay taxes on the capital gains can be a significant benefit. If you have a security that has declined in value, you are generally better off selling it, realizing a loss on the sale and then contributing the cash. If this is a route that is appropriate for you, be sure to contact the organization to ensure that they can accept gifts of appreciated securities or other types of assets. Using appreciated securities held in a taxable account to make charitable contributions has long been an excellent method to make charitable contributions. A donor-advised fund is a fund that allows you to have your contributions to the fund professionally managed, offering the opportunity to make contributions to qualified charitable organizations over time. DAFs have been around for many years and are offered by such big-name financial services organizations like Vanguard, Schwab and Fidelity among others. After establishing your account, contributions to the DAF can be made via check, securities or other assets. The details may vary a bit from fund to fund. The fund invests your contributions professionally, typically through a list of individual funds or several managed portfolios they might offer. The money grows, and contributions can be made over time to the organization(s) of your choosing, as long as they are qualified charities. 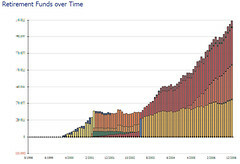 Most DAFs have minimum initial and future contribution levels, as well as minimum donation levels. DAFs fit well into the new tax environment in that they can accept appreciated securities and can be a great vehicle to bunch your contributions in order to be able to itemize in certain years. They also allow you to space out your charitable donations if your desire is to give a certain amount each year. For those who are age 70 ½ or older, you can direct some or all of your required minimum distribution (RMD) to a qualified charitable organization each year in what is called a qualified charitable distribution (QCD). The limit is $100,000 annually. The QCD has been around for a number of years. The amount directed to the charity is not taxed. This is beneficial for many reasons, including keeping your income in a range that offers the lowest future Medicare costs. The amount of the QCD does not qualify as a deductible charitable contribution. If you have charitable intentions, this can be a tax-efficient way to make charitable. Contributing to charity is a great thing to do for those of us who are able to do it. As a Jesuit priest told me back in my graduate school days at Marquette University, you might as well take any tax breaks possible when making donations. The ideas above can help make your contributions a bit more tax-efficient. As with any tax or financial planning issue, be sure to consult with a qualified tax or financial professional to determine if these ideas make sense for your situation.